Hello world! One of the upcoming Marvel Cinematic Universe film is “Captain Marvel”, which is slated for release in 2019. And I’d like to go into some of the details about the film that have been released so far. 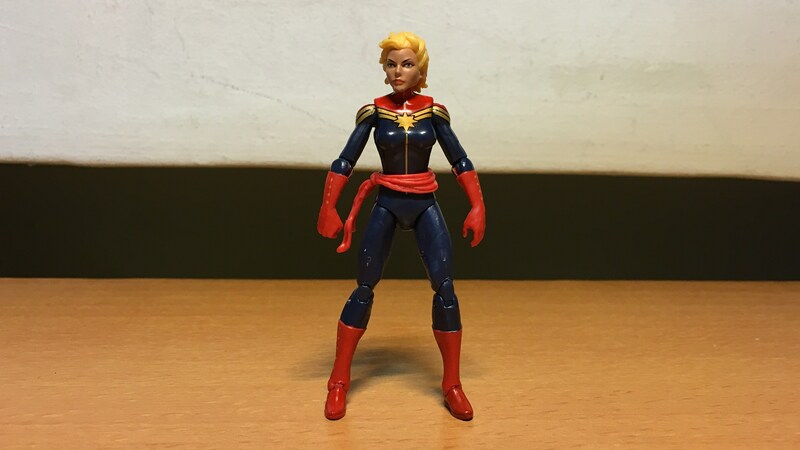 In the comics, Carol Danvers is a United States Air Force pilot who, after gaining cosmic powers, became the super-heroine Captain Marvel. 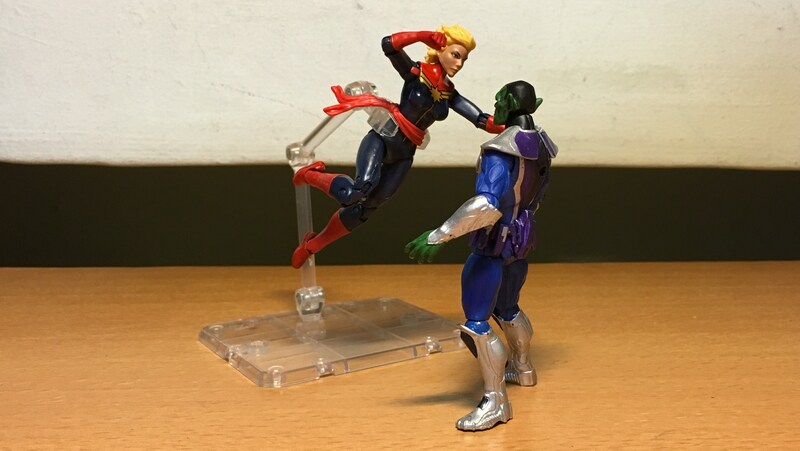 Carol Danvers gains her powers after an encounter with the alien race Kree, who had earlier appeared in “Guardians of the Galaxy” as well as in several episodes of “Agents of SHIELD”. 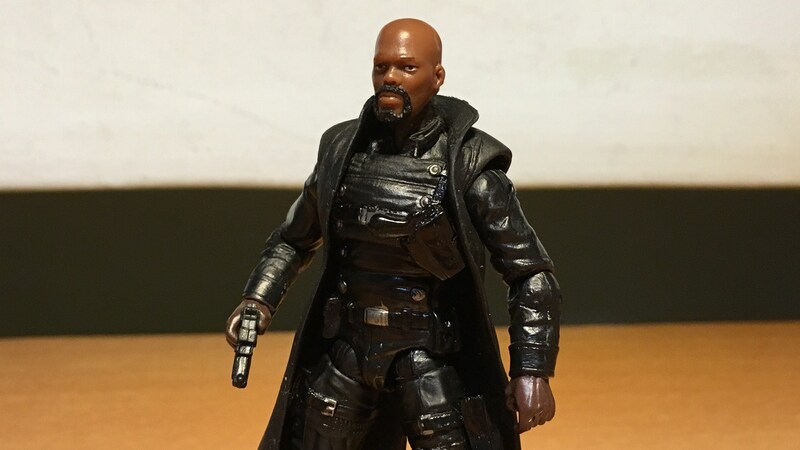 “Captain Marvel” will be set in the 1990s, and it will also feature Nick Fury before he got his eyepatch. In the first “Iron Man” film (which seems to be set in 2008, there are several theories about this), Nick Fury mentions to Tony Stark that Iron Man is not “the only superhero in the world”. Perhaps he could have been referring to Captain Marvel, or possibly Ant-Man or even the Wasp, all of whose exploits are regarded as rumours and kept classified and unknown to the general populace of the world. 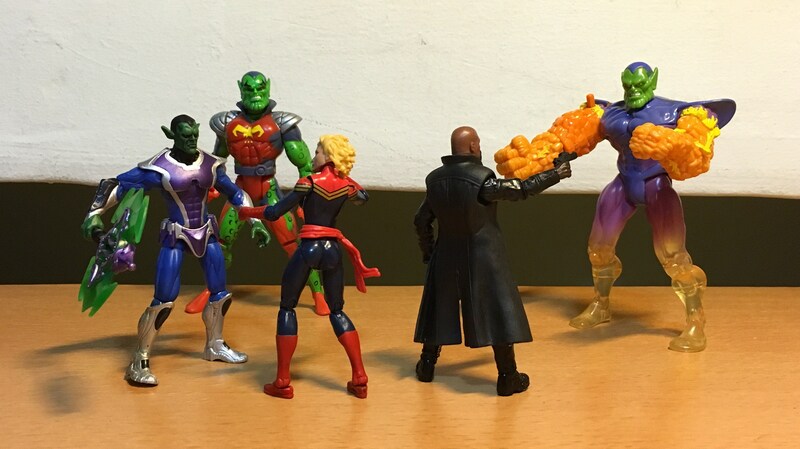 Another released detail about “Captain Marvel” is that the Skrulls will be the main antagonists in the film. In the comics, the Skrulls are shape-changing aliens who have encountered Earth’s superheroes numerous times. They had at times clashed with other alien powers, and have also attempted to conquer Earth with a secret invasion. This is very interesting as the Skrulls are generally regarded as part of the Fantastic Four franchise, the license of which is currently owned by Fox Studios, who also owns the license for the X-Men. The fact that the Skrulls are going to appear in the MCU suggests that some sort of deal had been reached between Disney (owners of Marvel) and Fox, allowing for the use of the Skrulls as the antagonists in “Captain Marvel”. 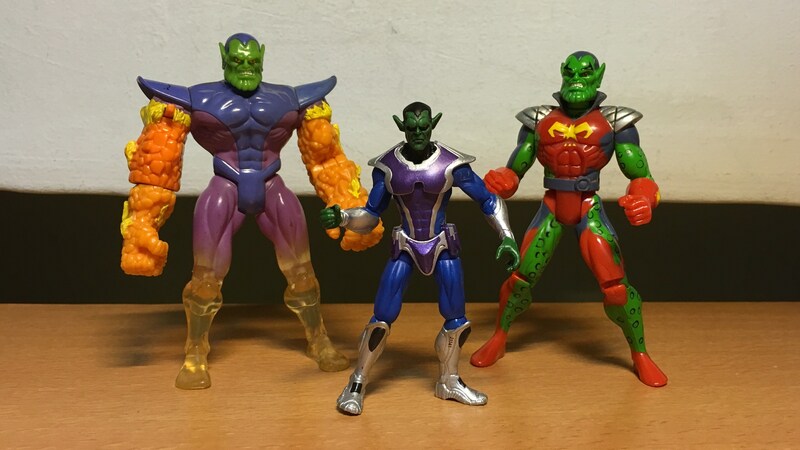 Comic Series Skrull (center), together with Super-Skrull (left) and Corsair Skrull (right). On the other hand, in “The Avengers” Nick Fury appeared to suggest that the encounter with the Destroyer and the Asgardians (happened in “Thor”) was Earth’s first contact with extra-terrestrial lifeforms. This suggest that the events of “Captain Marvel” might have been kept secret and unknown to the general public. In “Captain America: The Winter Soldier”, Nick Fury mentioned that the last time he trusted someone he lost an eye. 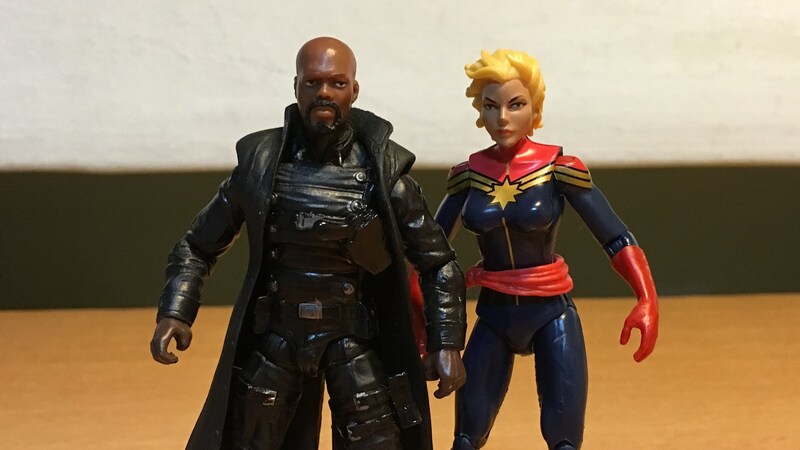 In the upcoming “Captain Marvel” we may see what actually transpired such that Fury gets injured and lose his eye. It is possible the shape-changing Skrulls could have impersonated someone close to Fury, leading up to the events whereby Fury gets injured. In addition, given that there has been no mention of Captain Marvel in the MCU films thus far, there has been speculation that Captain Marvel will in some way become trapped in time only to re-emerge into the current timeframe of the MCU. Of course, until the release of “Captain Marvel” sometime in 2019, many other details will be released and certain details may even change. But for now fans are having fun speculating away. Same here.